Posted on February 21, 2018 by Shirl Buss, PhD. I am an urban designer and educator. 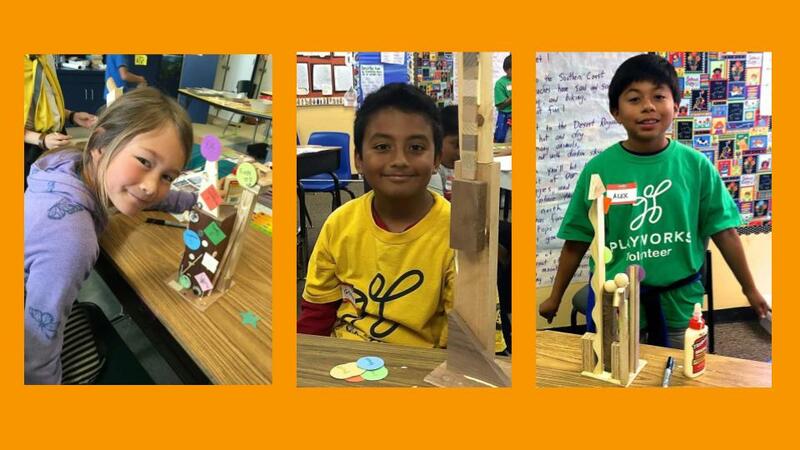 One of the most joyful things I do is facilitate architecture and urban planning studios for elementary school children in public schools through Youth in Arts and UC Berkeley’s Y-PLAN. Like many adults today, I am asking myself how—in my professional role—can I positively contribute to the #MeToo movement for and with the children in my life? How might I, when I work with young people, respond proactively to the gender inequities and injustices that we are witnessing every day? How can I help both boys and girls express their own power, free from the distortions and abuses of sexism and racism? In the 30+ years I have been working in the studio or classroom with children—even very young ones—I have observed how they all crave validation for who they are as human beings. Boys and girls openly express the desire to feel that they genuinely matter—to adults, as well as to each other. They are also eager to energetically actualize their potential as makers, doers, and leaders. Unfortunately the messages we all learn about gender and power are ingested at a very young age. Hence, in their quest for personal potency, children often adhere to traditionally defined masculine and feminine forms of power— to the detriment of both. Within this context, I would like to share a very popular challenge that my colleagues and I pose for children when we start our architectural residencies in their classrooms. It’s called Towers of Power. To begin, we ask each child to write down five distinctive adjectives describing his or her strengths and talents. When they have a good list of descriptive words such as Creative, Athletic, Musical, Loyal, Friendly, Kind, Smart, they inscribe these words on colorful paper discs and put them aside. Each student then gets a 4” x 4” wooden base, a selection of recycled cabinetmaking wooden pieces, and glue. 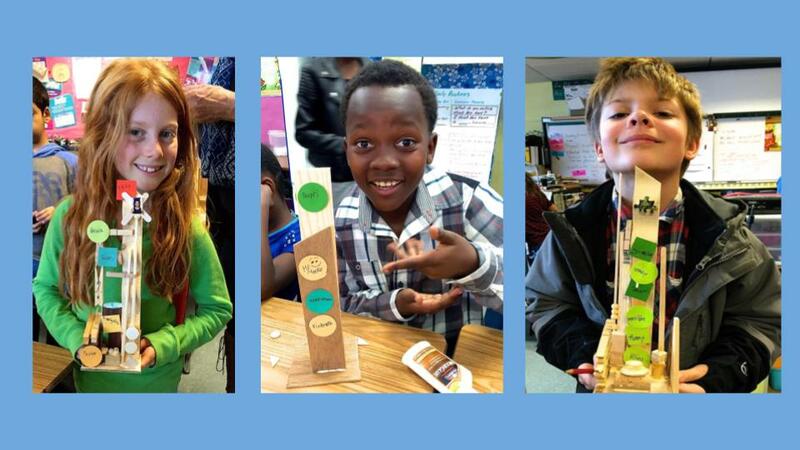 Their mission is to build a model tower that may not exceed 20” in height nor extend beyond the perimeter of the base. For the next hour or so, the students design and build model skyscrapers—testing structural forces, adding details, and creating their uniquely beautiful edifices. 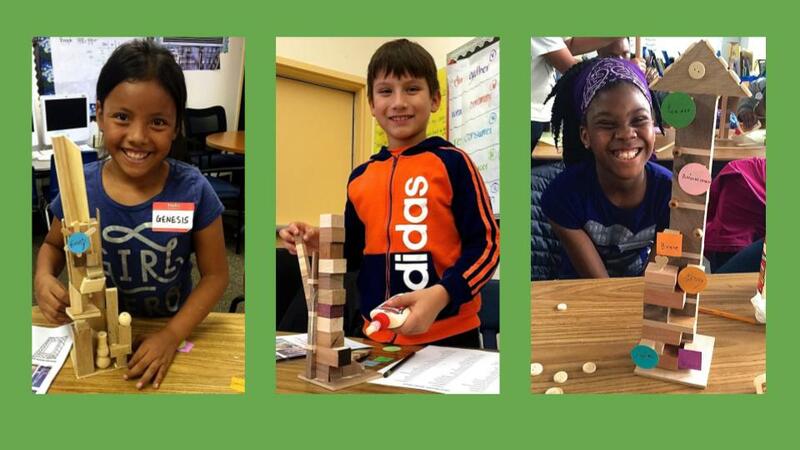 Because of the constraints on the project—especially the limit on height, and width— as the children build their towers they concentrate their energy on qualities such as elegance, strength, and balance. For a finishing touch they artfully affix the colored discs bearing their five adjectives and their name onto their tower. When the towers are completed, we all step back and behold a stunning array of Towers of Power! In that moment, all of us see an extraordinary “snapshot” of what an egalitarian future might look like. These beautiful structures—built by both boys and girls—stand before us adorned with proud adjectives describing each young architect. These towers stand tall, reflecting the shiny young people who so lovingly created them. They symbolize the many strengths, talents, and gifts these children have to share with the world. As I reflect upon this project and the hundreds of children who have built their Towers of Power over the years, I am moved to share it with everyone looking for light, optimism, and a new narrative about gender relations. Amidst the stories of sexual harassment, bullying, and discrimination, this project shows that during those early years—before sexism and misogyny become inbred—we can help children define and experience power in new and different ways. We as adults can, and should, play a role in creating a healthier culture where the pathways to power for both boys and girls are not based upon dominance and submission, but rather equity and mutuality. We can create opportunities for children to experience their personal power and agency with integrity, dignity, and respect. These beautiful children and their Towers of Power offer us all a vision of gender equity and redefined power. Together they compose an image of a future I want to inhabit — NOW!